Appearance: gel for external use. Substitution treatment for a deficiency of testosterone. Pituitary Nanizm. Carcinoma of the mammary gland or a tendency to it; prostate cancer, hypersensitivity. Not assigned to women and children. It is highly balanced recommended for cancer, cardiac, renal and hepatic dysfunction, coronary artery disease, elevated blood pressure, epilepsy, migraine. Optimally - 5 g / day, once. Better in the morning, at the same time. Maximum - 10 g. Portions increase smoothly, at 2.5 g / day. Apply to washed, dried skin with an intact coat in the shoulder, forearm and / or abdomen areas. Apply a few minutes before dressing, give the gel to soak. After use, wash hands well. In parallel with indirect anticoagulants, an increase in the effectiveness of the latter is provoked. It is important to monitor the prothrombin time during the course Testogel. In parallel with ACTH or corticosteroids, puffiness is provoked. Allergy in the treatment area, erythema, acne, drying of the skin. 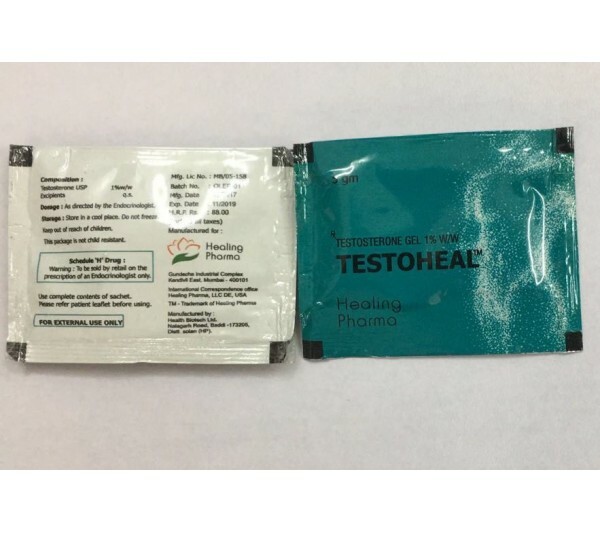 Sometimes polycythemia, distortion of lipid processes, distortion of the prostate gland, increase in the mammary glands, mastodinia, headache, dizziness, distortion of sensitivity, memory lapses, emotional depression, increase in blood pressure, diarrhea, hair loss are recorded. Out of the reach of children, at a temperature of up to 25 ° C. Use before the expiration of 3 years.